Drug overdose has now surpassed car accidents as the leading cause of accidental deaths in the U.S. according to the Centers for Disease Control and Prevention (CDC). * Opiate-related deaths are driving that figure with 13,000 deaths attributed to opiate overdoses, an increase of 23 percent from 2015 to 2016. Much of these opioid deaths can be attributed to the rise of heroin cut with the drug Fentanyl, a synthetic opioid 50 to 100 times more potent than heroin, according to the CDC. Early this year, some news outlets and websites across the US and Canada included reports of overdoses caused by fentanyl-laced marijuana. 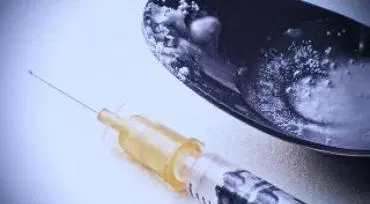 The reports prompted warnings from police and fire departments, local officials and several reputable organizations and individuals working on the front lines to combat the current heroin epidemic. 859-655-4430. Call for a free consultation, click here. This is an advertisement. In a Facebook post, Chris Stegner, founder and board chair of Northern Kentucky Hates Heroin, shared a story he’d heard from a Dayton, Ohio, police official at a drug-free task force meeting. The official said a 54-year old pot smoker was found overdosed in his garage and was revived by Narcan, the opioid overdose antidote. Fort Thomas Matters checked with Northern Kentucky Drug Strike Force Director Chris Conners who said he had not seen any mixing of marijuana and fentanyl in our area. We also were unable to corroborate the Dayton story, but one well-publicized incident in Painesville Township, Ohio, may have fueled warnings in the region. In February three people overdosed within a 12-hour period and all had been smoking marijuana. All three were revived with the help of Narcan. The Painsville Fire Department put out an immediate warning that marijuana in the area might be laced with opiates, but later officials determined that, while marijuana was found at the scene, so was crack cocaine and other drugs. The pot seized at the time was tested and found not to contain opioids. The story on the Cleveland.com news site was updated with the new information. Dr. Mina (Mike) Kalfas said he was not surprised by the rumor or the warnings because it is not uncommon for drugs, including marijuana, to be mixed with a variety of other substances, including more potent drugs. Dr. Kalfas is a family physician at the Christ Medical Center’s outpatient office in Fort Wright and has become one of the area’s leading addiction specialists. 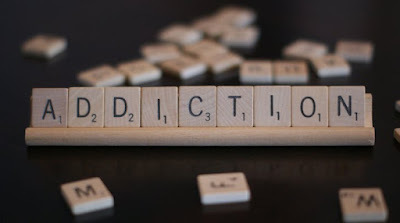 He also is involved with the Integrated Chemical Addiction Network (iCAN), a faith-based provider of addiction services. "It’s become common for drug dealers to add things like Fentanyl or a little cocaine to heroin to boost the results. And, I’ve seen pot laced with other stuff for an extra kick. It’s all marketing to give one dealer an edge over another." In a Facebook post on the topic of marijuana mixed with other substances he wrote his patients who claimed to have only smoked pot were tested and found to have a variety of substances in their systems including pcp and cocaine. "Are you really going to trust a street salesman with what you are putting into your body?" he asked. Many point to legalization as a way to regulate and ensure purity, but Kalfas, while in favor of decriminalization, is not in favor of legalization. He says he worries about the idea that marijuana is considered harmless, especially now that its been legalized in some states. "For years I was pro legalization but over the years from what I’ve seen, I’ve come to understand that it can be very dangerous. Yes, you can’t overdose on an herb but you can concentrate the THC to dangerous levels. In Colorado they are selling pot gummies and “pot tarts” containing THC. How many of these people are eating?" He also says pot is much harsher on the lungs than tobacco, and children exposed to pot smokers in the home have been found to have traces of the drug in their blood. Even though the rumors have so far proven not to be true, the fear and the reason for it is real. People are dying and combating the epidemic continues to be an uphill battle. For more about how to help in the fight against heroin and to find access to resources in our area, see the Northern Kentucky Hates Heroin website. *Note: In the most recent CDC report, based on 2014 data, unintentional poisoning surpassed traffic deaths for the first time. The largest sources of unintentional poisoning are drug overdose and alcohol poisoning.